Here is a video that shows some highlights from our many fights in 2016. 2016 was a great year for our team and we're already working to make 2017 even better! 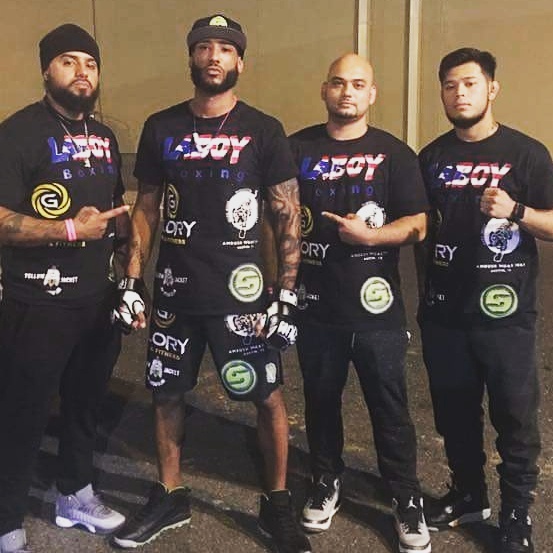 On Nov 5, 2016 Team Ambush competed in the Ascension Muay Thai nationals tournament. 6 fighters represented our team including Spencer Hanley at 125lb, Buddy Chambers at 145lb, Bobby Peek at 155lb, Jed Becker at 155lb, Jon Leal at 165lb, and Paul Gonzales at 195lb. 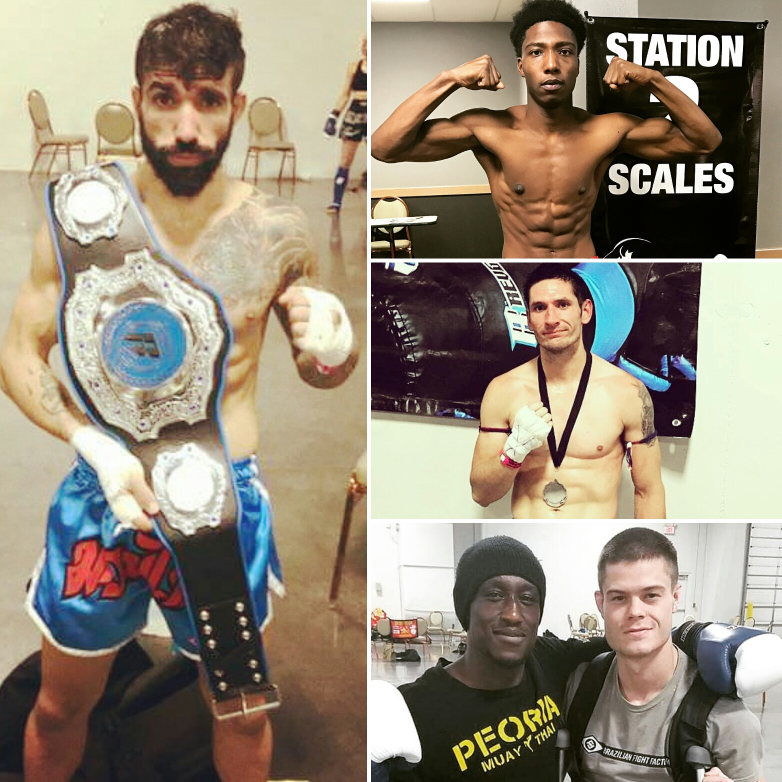 All 6 fighters won fights, and 4 of our fighters took home belts. Including our title win from August that's 5 belts in 2 months! Coach Elton Wells w/ Team Ambush fighters Buddy Chambers, Paul Gonzales, Sean McKiernan, Bobby Peek, Spencer Hanley, Jed Becker, and Jon Leal. 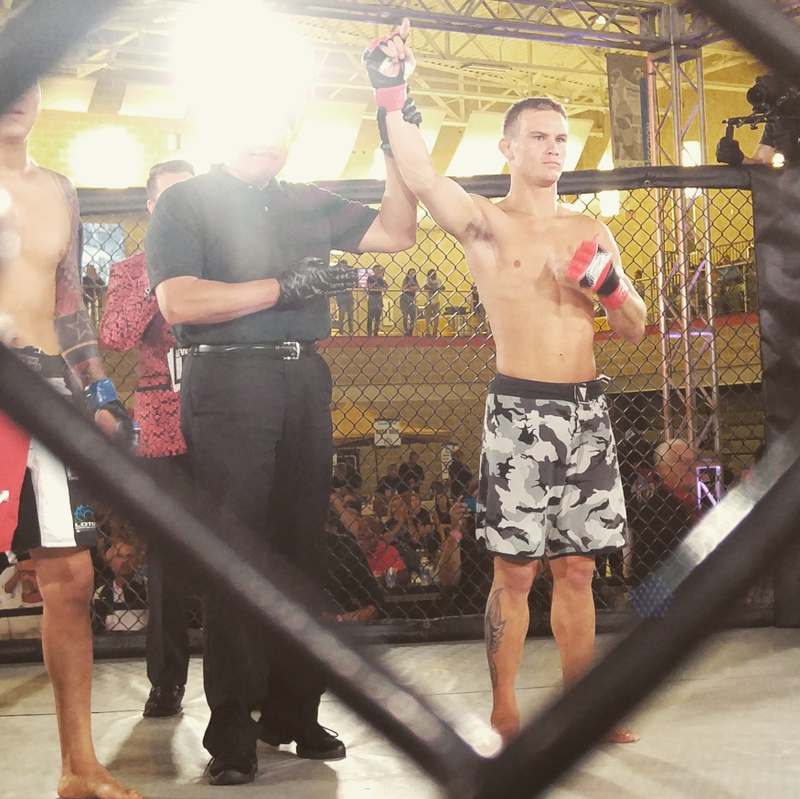 On Aug 27, 2016 Team Ambush fighter Sean McKiernan fought in the main event for the Ascension Muay Thai 147lb title, Sean fought a tough opponent but scored 3 standing 8-counts in the fight until the fight was halted in the 4th round, awarding Sean the TKO victory, winning the 147lb title! Sean McKiernan w/ teammates Roland Rodriguez, Coach Bobby Peek, Coach Elton Wells, and Jenna Crank. Check out the pictures and videos below for some highlights. Team Ambush fighter Jon Hester drops his opponent with a hard hook at SPARta II. Team Ambush fighter Roland Rodriguez works his opponent on the ropes at SPARta II.